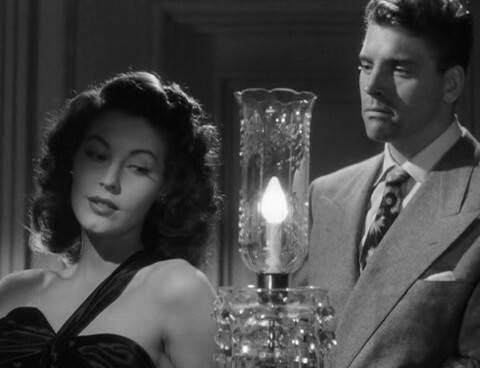 This film noir is based on a short story by Ernest Hemingway. It was Burt Lancaster’s first film role (at age 32). I thought he looked/acted much younger. There is that openness and vulnerability in his eyes that fans will recognize. Even battered and bruised, he has potential. Lancaster plays Ole Andresen (known to most as “The Swede”), a quiet gas station attendant in Brentwood, New Jersey. We learn that there’s much more to The Swede than meets the eye, thanks to an insurance investigator, Jim Riordan (played by noted character actor Edmond O’Brien). He later went on to play Big Daddy in The Long Hot Summer (starring Paul Newman and Joanne Woodward). The movie gains momentum after a murder by two strangers to the small town. Riordan comes to deal with the $2,500 insurance policy left behind by the deceased. He eventually teams up with one of Ole’s oldest friends from Philly, Lt. Sam Lubinsky, to get to the crux of the matter. 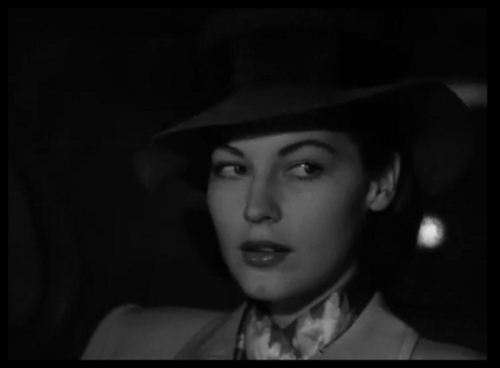 The femme fatale of the story is Kitty Collins (Ava Gardner), the girlfriend of a well-known hood in Atlantic City. Kitty (Gardner) is the catayst in this tale. If you liked this movie, you’ll love Out of the Past (1947), starring Robert Mitchum, Kirk Douglas, and Jane Greer. BOTH Mitchum and Lancaster were able to show the masculine man’s sensitive side. 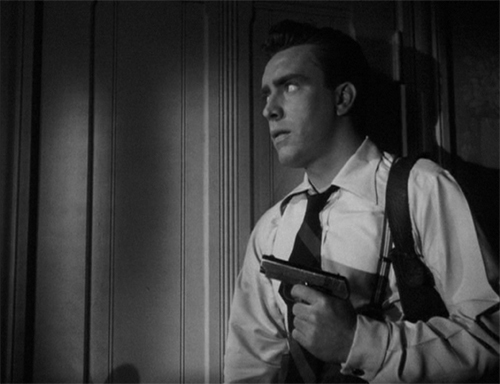 But maybe Mitchum had a BIT more danger and unpredictability? They’re both fabulous actors who used their presence and physicality to enhance their roles (think Denzel Washington). After all, it takes more than height and looks to make a leading man!